The brisk air, the fact that I'm rocking boots and my grocer's abundance of apples can only mean on thing...fall is finally here! Autumn is—without a doubt—my most favorite time of year. 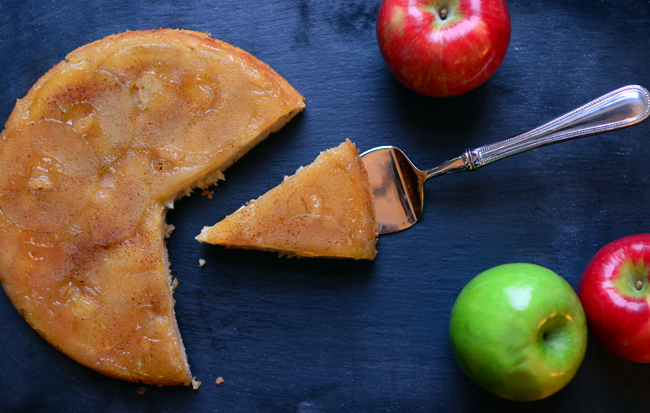 Aside from the vivid tree colors and anticipation of Halloween, the epitome of fall is seasonal baking. 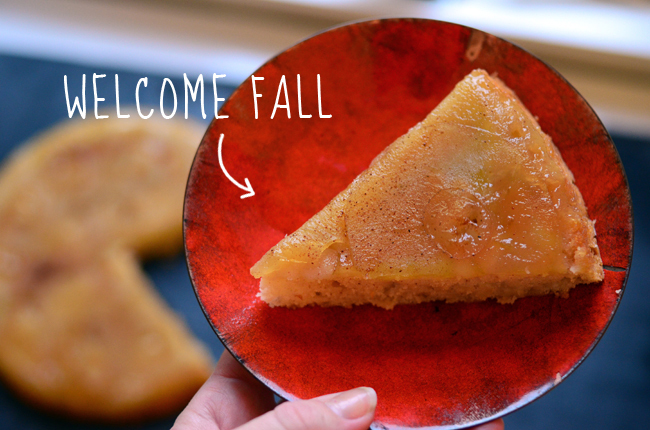 This year, however, my fall baking has been off to a slow start (and so has my blogging, for that matter.) Tom, the dogs and I recently moved apartments and it has taken me a few weeks to gain my bearings in the new digs. I'm still living out of boxes and honestly the only cooking device I can locate is my cast iron skillet. So, I apologize for being a few weeks behind on a post...but I'm not going to make any apologies for this delicious cake. I utilized that cast iron skillet and now I've given up the search for those other pans. One cast iron skillet really is all you need! Well, that and some apples. My cake came out surprisingly tidy, but this is a rustic cake, so don't worry if yours is a little messy. It will still taste divine! 1. Preheat the oven to 350 degrees. Peel and core the apples. 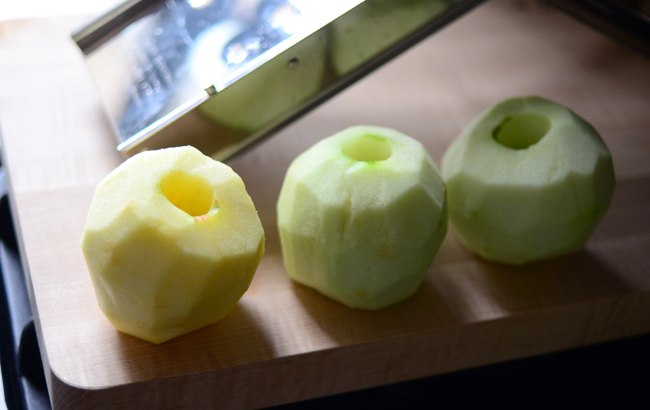 Use a mandoline (or sharp knife) to cut 2 of the apples into thin rings. 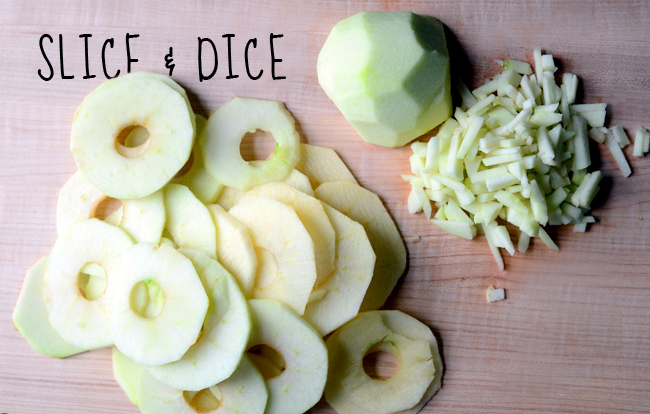 Finely chop the third apple and set aside. 2. Combine 1/2 cup of sugar and 2 tablespoons water in a 9 or 10-inch cast iron skillet. Turn on high heat, and stir occasionally until the sugar begins to turn golden brown. 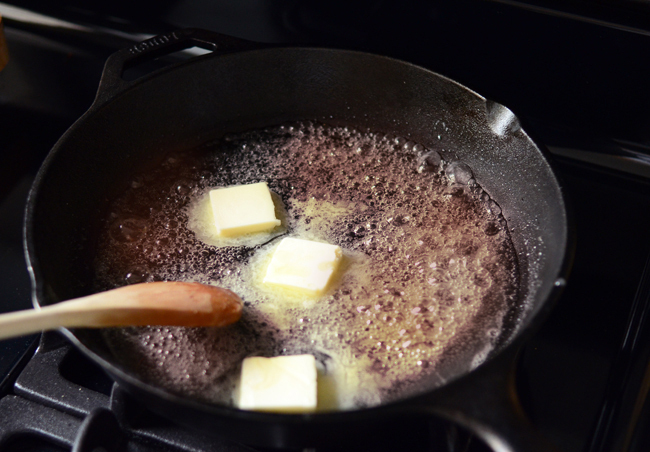 Turn the heat to low and stir in 3 tablespoons of butter. Tightly overlap the apple rings on top of the caramel, starting on the outside and working towards the middle. Turn off the heat and set aside. 3. In a small bowl, whisk flour, baking powder, salt and cinnamon together. Set aside. 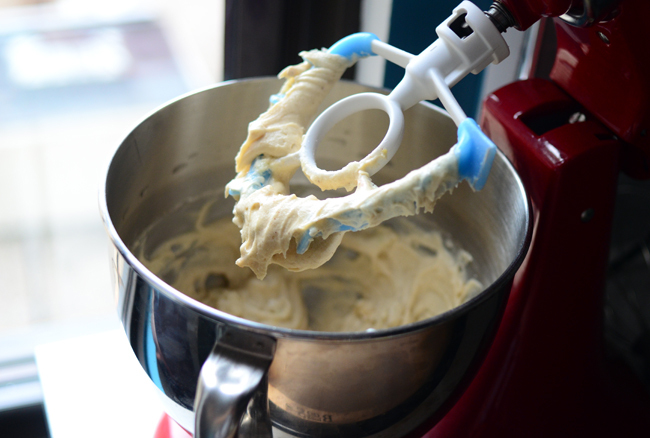 In the bowl of an electric mixer, combine remaining sugar and butter. Cream until light and fluffy, then add the eggs and vanilla. Mix in the sour cream and beat until incorporated. 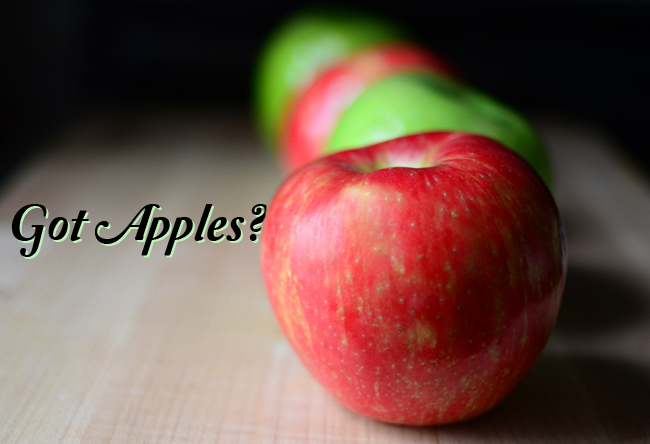 Stir in the finely chopped apples. 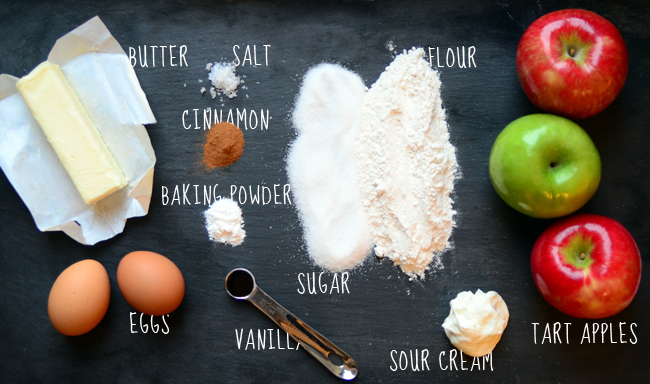 Spread the batter evenly over the sliced apples in the skillet. Bake for 40-45 minutes, or until the cake is golden brown. 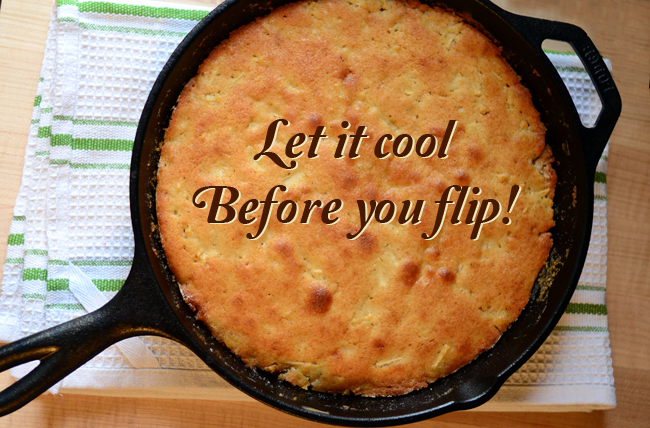 Cool until skillet is just warm to the touch. 4. 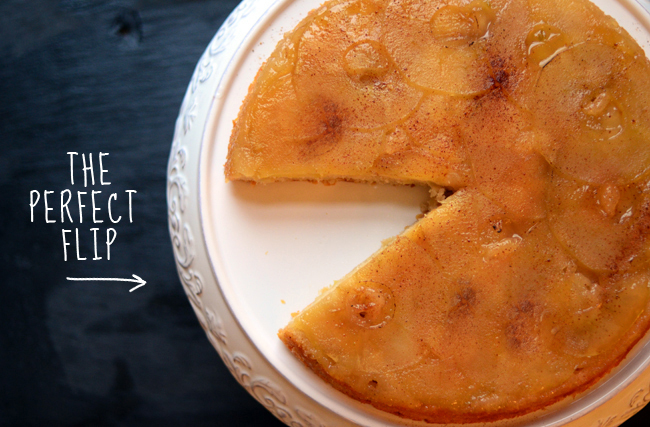 Use a knife to loosen the edges of the cake, then place a cake stand or plate face down on the skillet. Flip the skillet and plate (hold on tight!) to invert the cake. Serve warm or at room temperature. A scoop of vanilla ice cream cant hurt either! The missing slice was not a photo decision...I just couldn't wait to dig in! This looks so yummy! I'd love to make it right now. I am bookmarking this recipe. Let there be fall! Love your pics! Sounds like a wonderful recipe. Can I ask you about the beater attachment you have pictured on your stand mixer? I've never seen that one before. Yes! Its the best thing ever. It's basically the same thing as the standard paddle attachment, but this one has little wipers so you don't have to stop mixing and wipe the bowl down! This is the one I have, but I think other companies make them, too. http://www.sideswipeblade.com/solution.html Thanks for reading! Whoa, I was wondering about that too! That's neat! 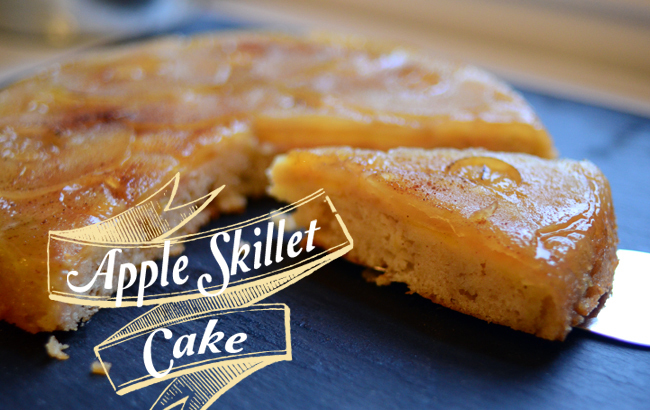 Your apple skillet cake tastes delicious and easy to bake! I will try making one this weekend for my friends in long island catering halls!